When a person retires they might go from one main source of income (employment income) to three, four or many more sources of cash flow (pensions, Canada Pension Plan (CPP), Old Age Security (OAS), personal investment assets, just to name a few). What income streams should be accessed in what order? What assets should be used up first and still others deferred until later? How can less tax be paid? 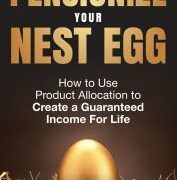 Answering many of these questions is the goal of Your Retirement Income Blueprint by Daryl Diamond. There are many financial rules of thumb for retirement but these may or may not apply to you. There are also many strategies you could employ as part of retirement planning. This is why Diamond says you need an income blueprint – because to retire, you need to pay for it, in advance. Assessing your current life stage – this includes assessing at what stage you are at in the retirement cycle (positioning yourself, in early retirement, changes in health, other). Establishing your lifestyle and time objectives – this includes assessing how you feel about retirement, what role might work play, what activities will you be engaged in to maintain physical and mental well-being, and more. Determining your financial goals and priorities – this includes assessing changes to cash flow (from employment income to other sources of income) and focusing on your net, after-tax income needed. Creating your income needed through layering – this includes assessing projected government benefits, and devising a game plan to use the least tax-efficient sources of income first in lower tax brackets (such as CPP, OAS, pension income, interest from non-registered assets, Life Income Funds (LIFs), and Registered Retirement Income Fund (RRIF) payments to name a few). Aligning your investments with your income plan – includes devising the “balancing act” to preserve assets while using them to fund your retirement lifestyle; selecting growth assets to combat inflation and continually revisiting your assumptions as you move through different life stages. Assessing the impact of your plan on your net worth – includes assessing those assets that will derive meaningful cash flow (not houses, not cars, or other material possessions). Always focus on what you can control: your asset allocation, your investments that will create income, your investment costs, understanding your tax bracket and what assets you use early and those you defer until later. Do not focus on the stock market, interest rates, inflation, currency changes or other people’s behaviour. Consider implementing a Cash Wedge: an income model that maintains a modest amount of cash for short-term expenses AND follows a profit-selling-process WHILE maintaining your desired asset allocation. You can read about my Cash Wedge approach here. Consider taking Canada Pension Plan (CPP) early: remember the first rule of layering your income – use the least tax-efficient sources first – this includes CPP. If you are retired, take the CPP payment rather than your own personal assets to generate income. 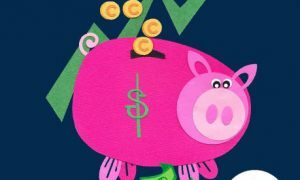 Consider a Life Income Fund (LIF) from your commuted pension plan: the income from a LIF can be quite flexible; “LIFs follow the same minimum withdrawal formula that applies to RRIF accounts.” This way you can select an income stream anywhere between the minimum and maximum withdrawal limits. A RRIF is the most common and practical option for delivering income from RRSP accumulations: RRIFs can provide a variety of income options, an ability to make lump-sum withdrawals, greater flexibility than an annuity, and provide a smooth transition from RRSPs. 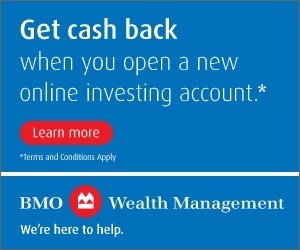 “The prolonged deferral of RRSP and other registered money can possibly lead you into a tax trap as you progress into your late 60s and beyond.” Consider taking out additional taxable income even though it is not needed for cash flow and move contributions to a Tax Free Savings Account (TFSA). This strategy is particularly effective before age 65 so you don’t erode any Old Age Security (OAS) benefit. In the book Diamond also highlights three headwinds retirees best be savvy about and prepare for: taxation, inflation and fees. Overall, I think Diamond does an impressive job at laying out the numerous considerations for retirees (and would-be retirees) in Your Retirement Income Blueprint. 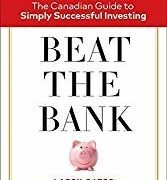 Anyone wanting to get a broader perspective on retirement income will be best served at picking up a copy of this book and reading it cover to cover, a few times over, and keeping it for years to come as part of their personal finance reference library. 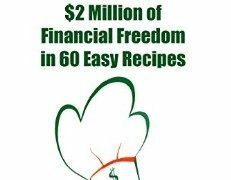 17 Responses to "Daryl Diamond – Your Retirement Income Blueprint Review"
There is a lot in that book to digest. That’s a good basic snapshot of the key principles Mark. I plan to reread it again soon. This is one where I read it over and over. It’s an excellent book, hard to condense the great content into a 800-word book report. Thanks Deane. ” three headwinds retirees best be savvy about and prepare for: taxation, inflation and fees”, which I said in less words. You and Daryl think alike Henry. You cannot control inflation but you can control money management fees and definitely optimize taxes payable wherever possible. It takes a savvy investor to be competent in all three, and I’m working on that. You might have it mastered. Great book and strategy for planning anyone’s retirement. I would highly recommend it. I agree Linda. It’s an excellent resource for anyone approaching retirement. Thanks for your comment. Overall I felt the book covered the topic well and identified many areas that are often overlooked. –	It highlighted why and what your retirement planning process should consider and some of the pitfall that are often overlooked. Quote: “ensure you are making the decision to retire from a position of financial confidence and comfort”. –	Detailed many options and defined them in detail. –	Makes you aware of that Fees, Taxes & Inflation must be part of any retirement plan. –	Assumed that one will have saved sufficient money during accumulation. –	Suggests that dividends yield around 3% that one would need $1.6M to $2.0M to generate sufficient income. 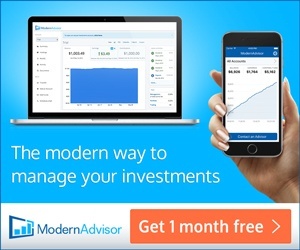 Not that a financial advisor may not be needed at some point but I don’t feel it should be the initial consideration. The key item I feel is missing is the planning of your income stream during the accumulation phase. Review Marks portfolio and following his growing dividend income, you can see that there is a better way. Not only can you generate a growing income from your savings, you will see how your income is growing each month or quarter. It won’t be a fluctuating income but a continuously growing income so when you are ready to retire you’ll know what that income will be, and you’ll know that the income will continue to grow to help offset the rising costs over time. I also noticed the tone about having or needing a financial advisor, but I understand his bias. I also didn’t really agree with his 60/40 allocation but that’s also an “advisor” bias or norm it appears. Regarding the dividend income, I think 3% yield is very conservative. I think a collection of stocks yielding 4% is not that hard to find. I know, that is my portfolio now and I hope it will eventually churn out $30k + in tax free (TFSA) and tax efficient (non-reg.) dividends per year. I don’t include my RRSP in my monthly income updates since that is tax-deferred money I must draw-down at some point; which I will hopefully in my 50s and 60s before any CPP and OAS take effect. On that note, thanks for the kind words about my approach Henry. I believe holding my 30-40 dividend income and growth stocks is a good strategy. I can see the passive income rise month after month without any new additions to the portfolio. This makes me confident that when I need this income (i.e., I turn off DRIPs) for expenses the cash flow will be there. The dividend increases by design will fight inflation. Certainly 4% on current yield is achievable, but when companies increase their dividend, one reinvests the dividends and one adds more to further grow their holdings, your Yield on Investment will grow. By the time one retires, your yield may even be double digit, so that the income generated will be much higher that just current yield. If one does accumulate $500,000 to $1M, the current yield may still be 3% or 4%, but your income will be considerably higher. ps: I don’t think etf’s will generate the same results. You can get the same yield on cost Henry with ETFs, but I would agree with you, I’m optimistic that my selection of stocks will perform so well such that a) they generate enough income to cover my expenses so b) I don’t care how the market or the indexed products that follow the market perform. Time will tell if I’m successful with my basket of stocks! You’ve prompted me to go to the library and pick up the book. (The library even had the 2014 2nd Edition). I think you’ll enjoy it Andrew. I recall you’re close to FI so it might provide some tips for you. One more thing…..I haven’t done this yet…..
but I’m also going to check out the associated, “How The ‘Blueprint’ Applies to You” Webinar. Let me know what it’s like Andrew! I just read your post! Looking forward to seeing how you cross “the finish line”.